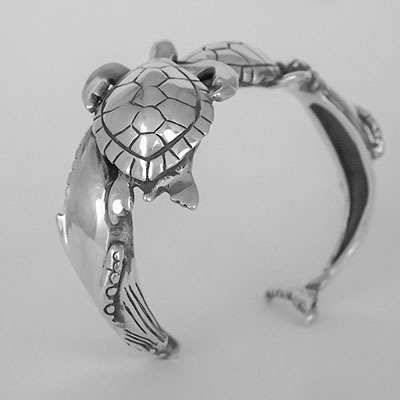 Bracelets - Elizabeth's cuff bracelets embrace the wrist with flowing forms from nature. These are typically made in sterling silver but can be special ordered in gold. These bracelets are very popular. You will get noticed wearing them.